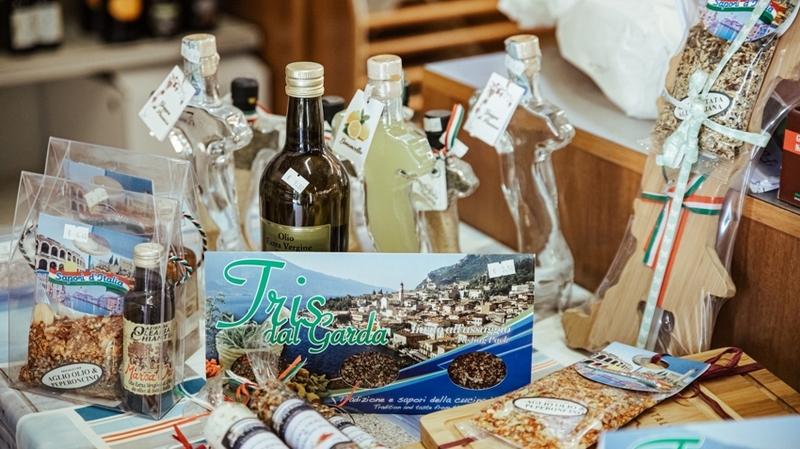 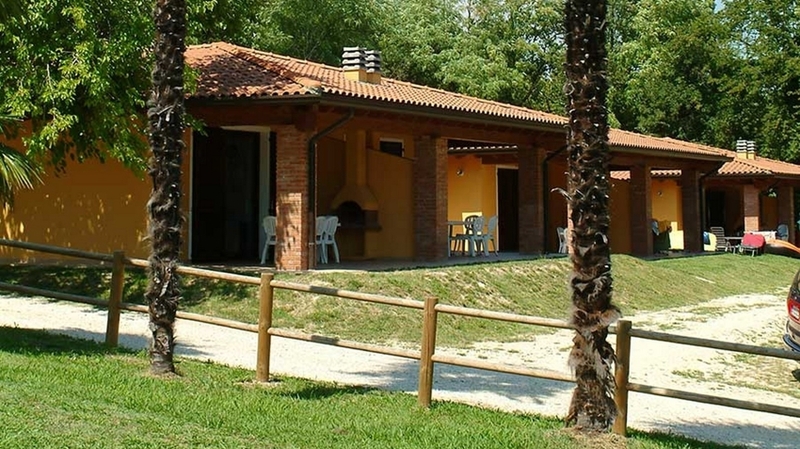 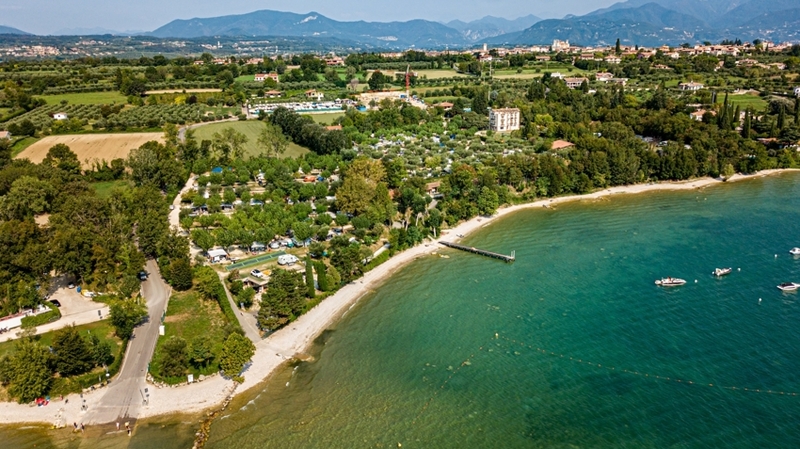 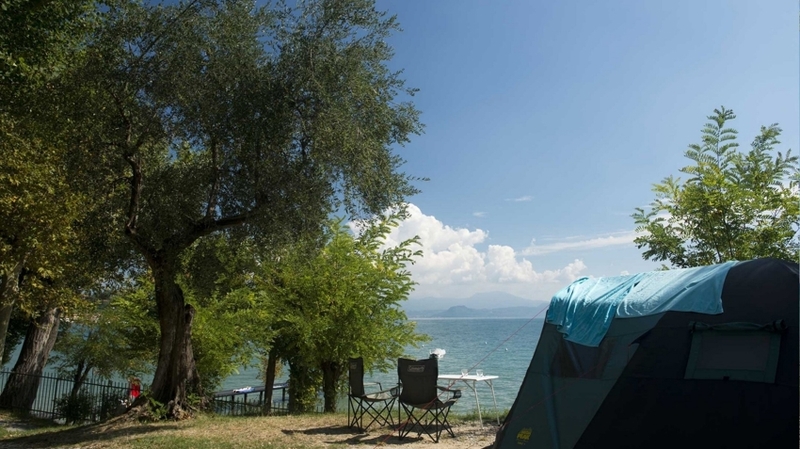 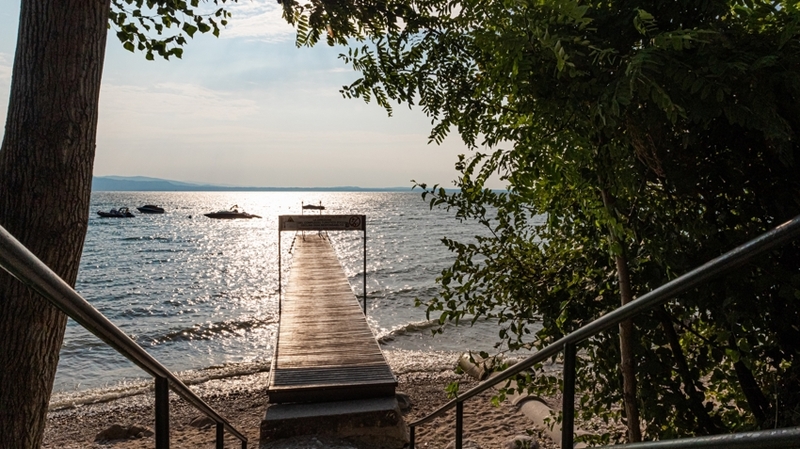 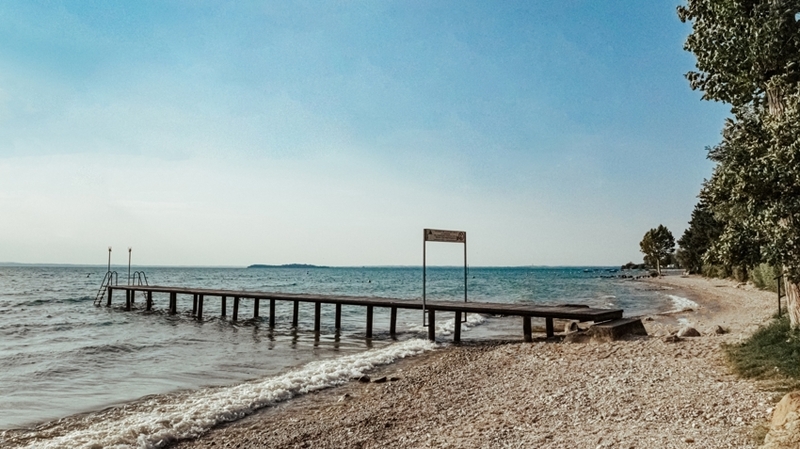 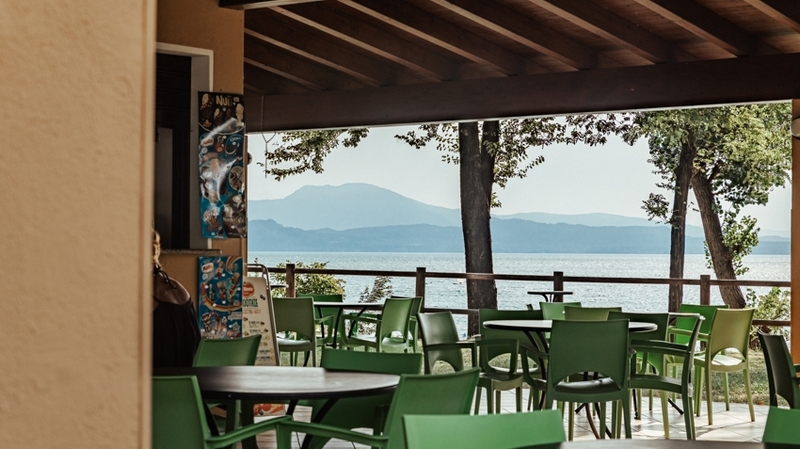 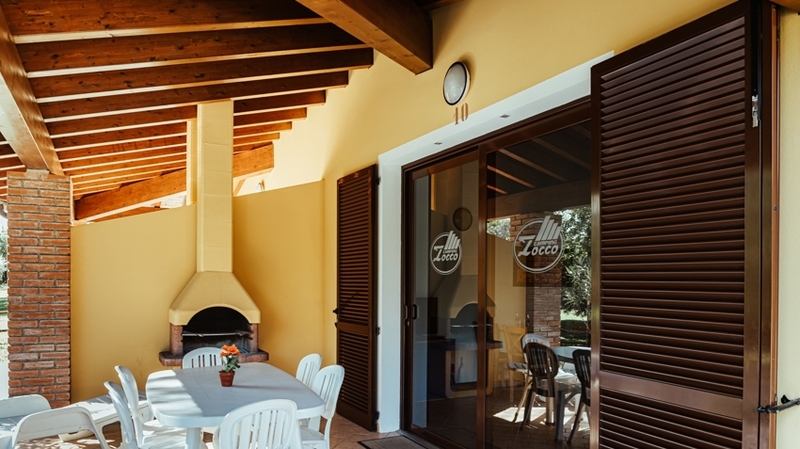 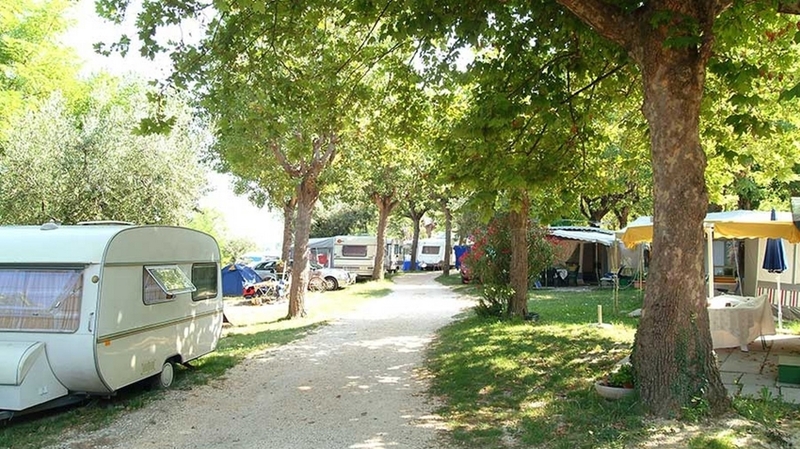 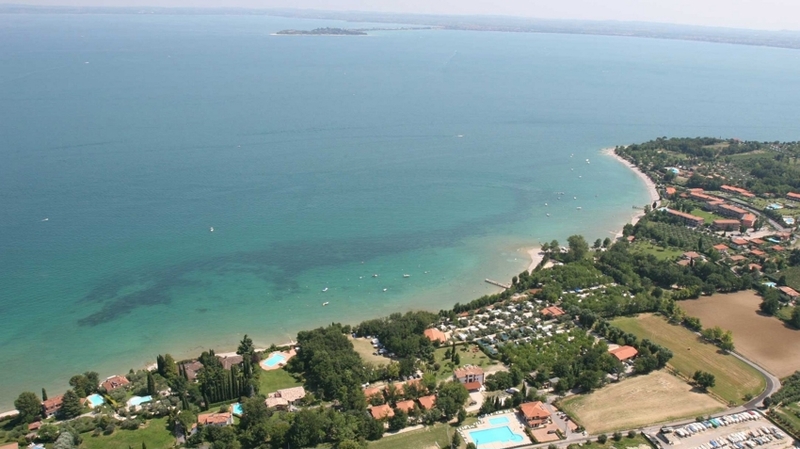 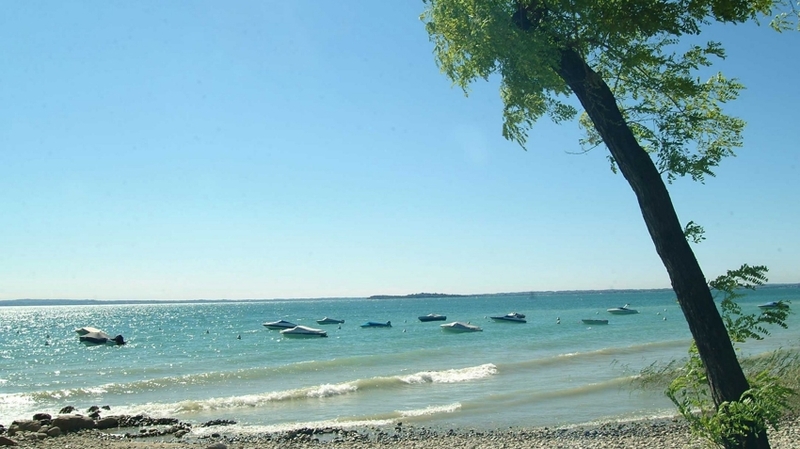 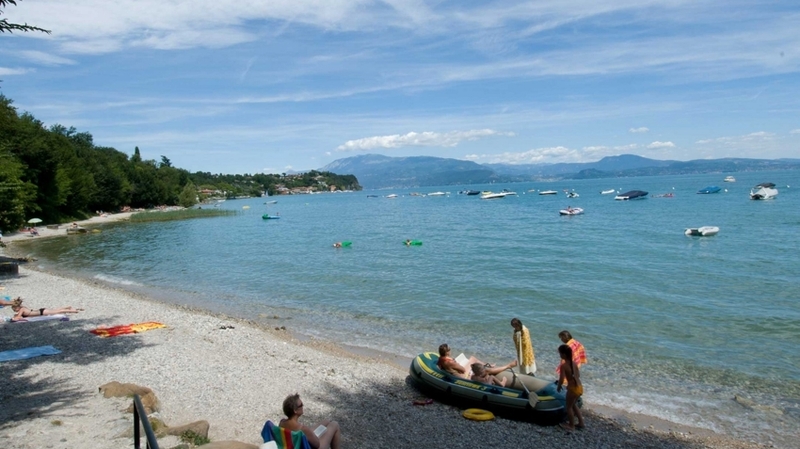 The family-run Camping Zocco is located directly at the shore of Lake Garda, between the villages of Manerba ad Moniga. 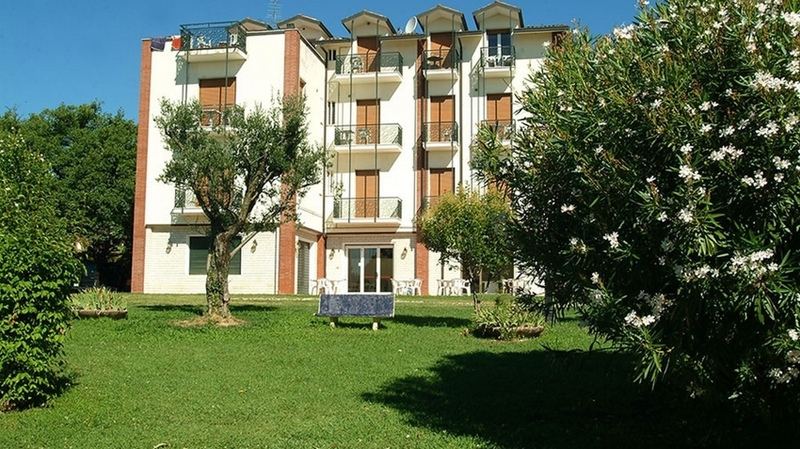 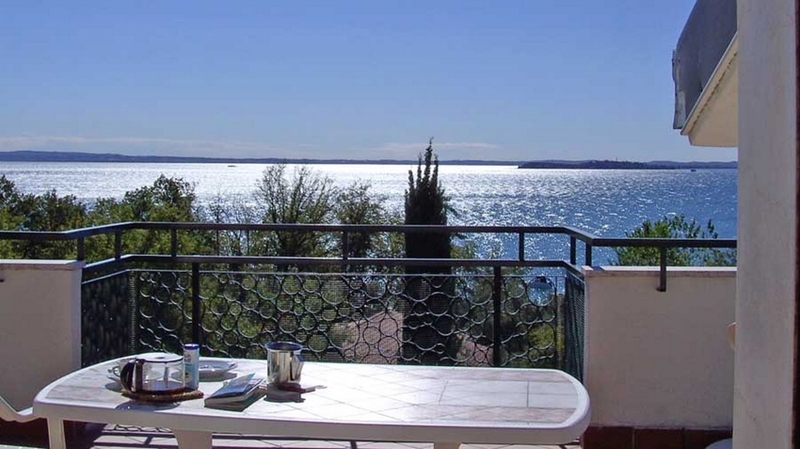 The complex has a surface of 50,000 m² and is terraced, with a wonderful view of Lake Garda. 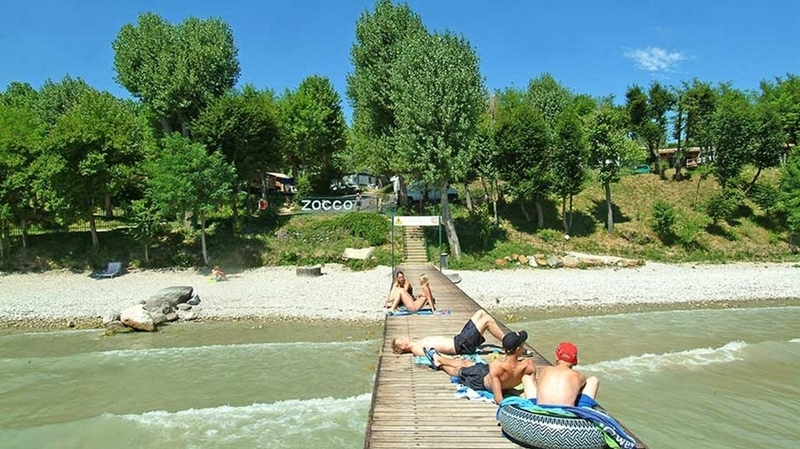 Camping Zocco offers holidays in the middle of nature, surrounded by a wonderful green area, directly at a wonderful beach with private jetty and buoy rental. 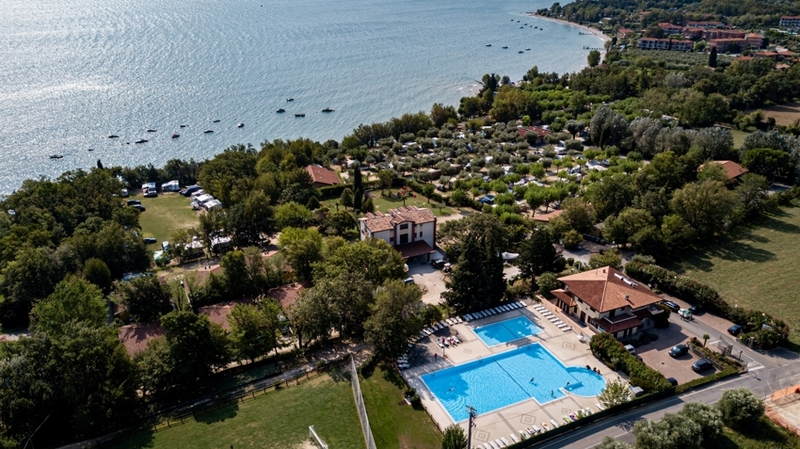 Experience sustainable holidays in the middle of nature at Lake Garda, with all modern comforts. 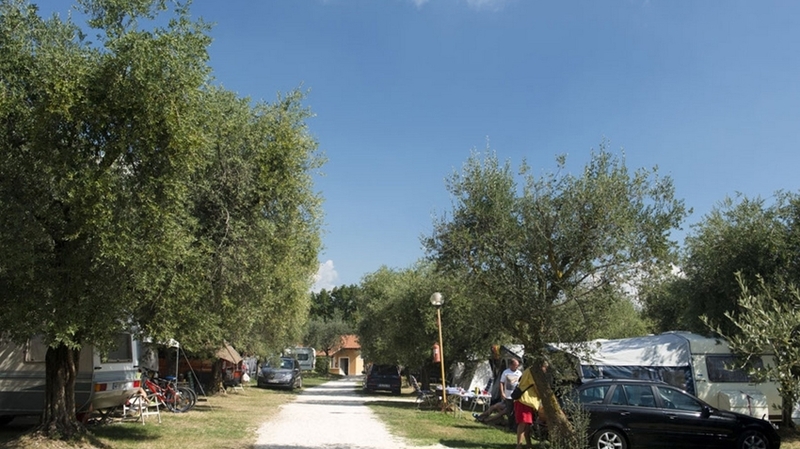 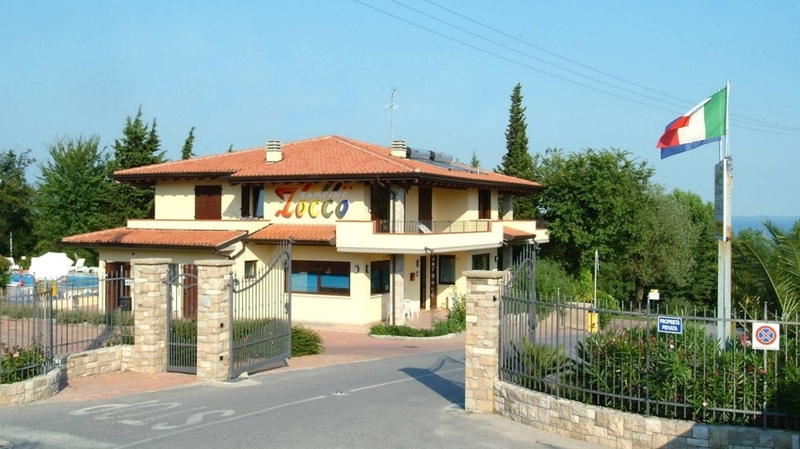 The guests of Camping Zocco can choose between apartments with lakeview, small houses and bungalows with two separate living units as well as living on the campsite. 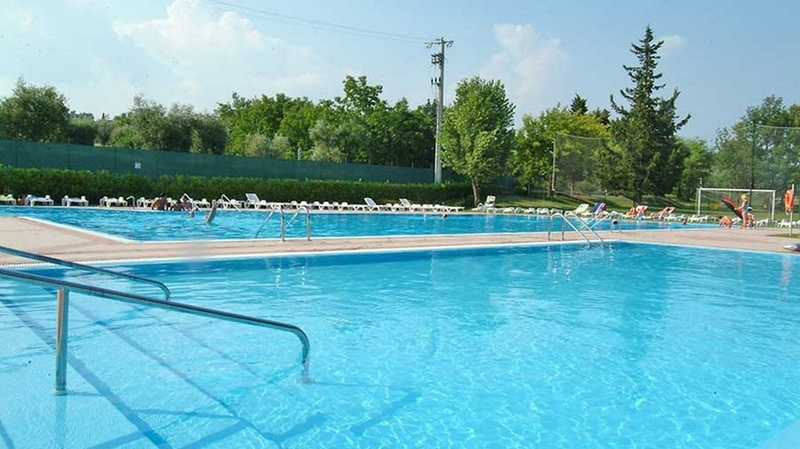 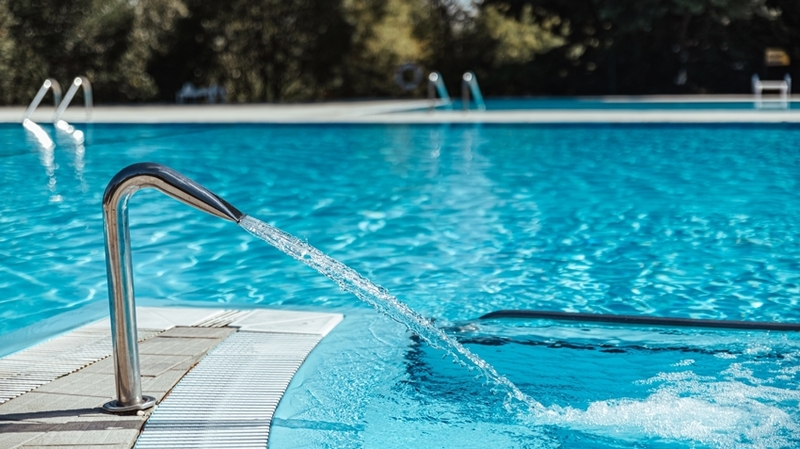 The facilities offer several pools with whirlpool a children’s pool as well as cosy loungers. 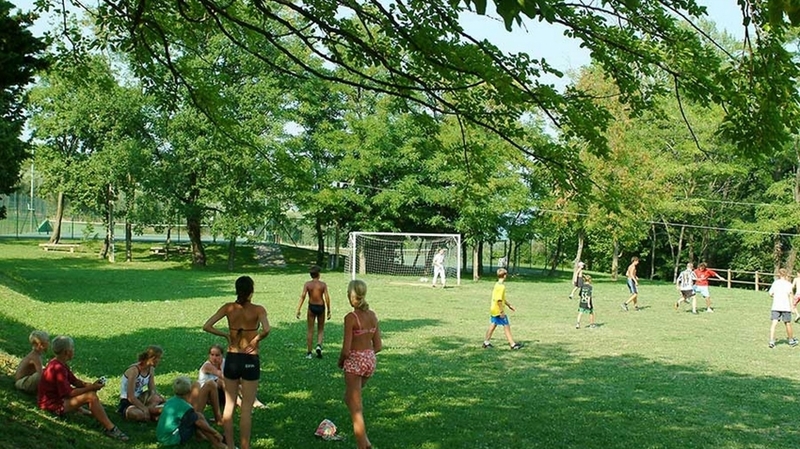 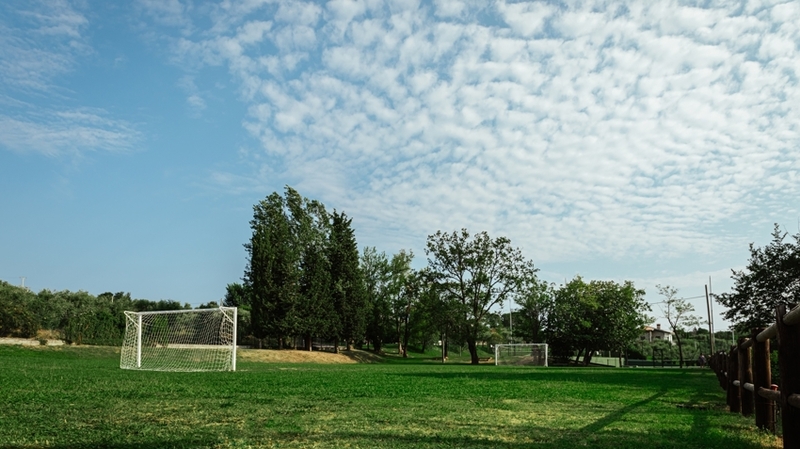 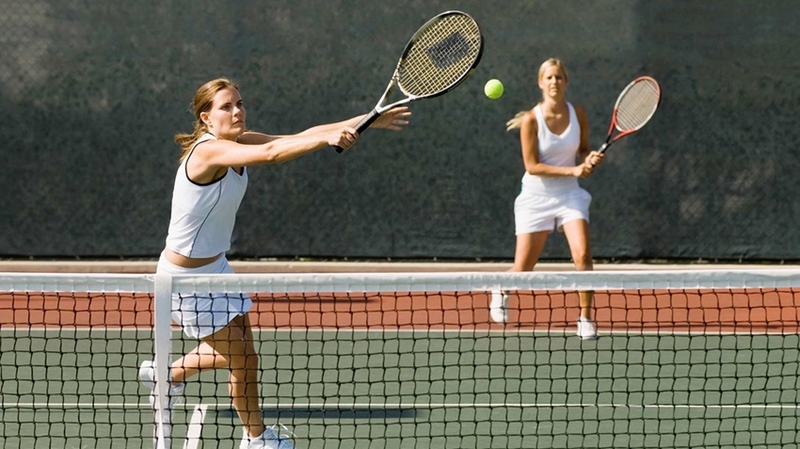 Relax in the park under shady trees and discover the sports facilities, such as volleyball, tennis or table tennis. 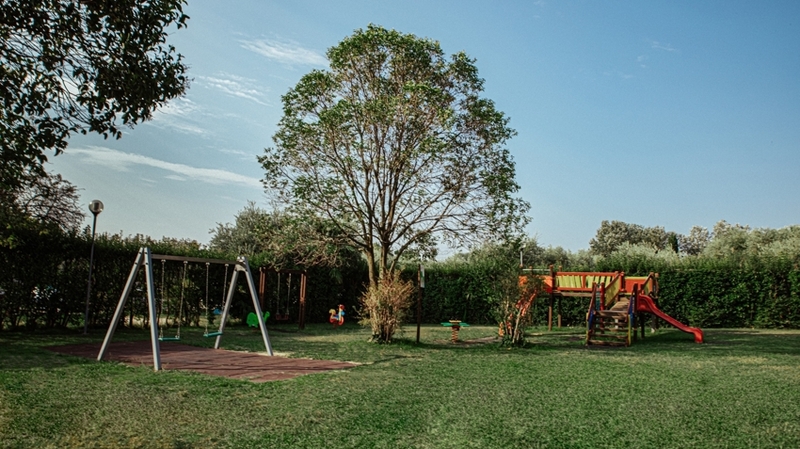 The small guests will look forward to the children’s playground. 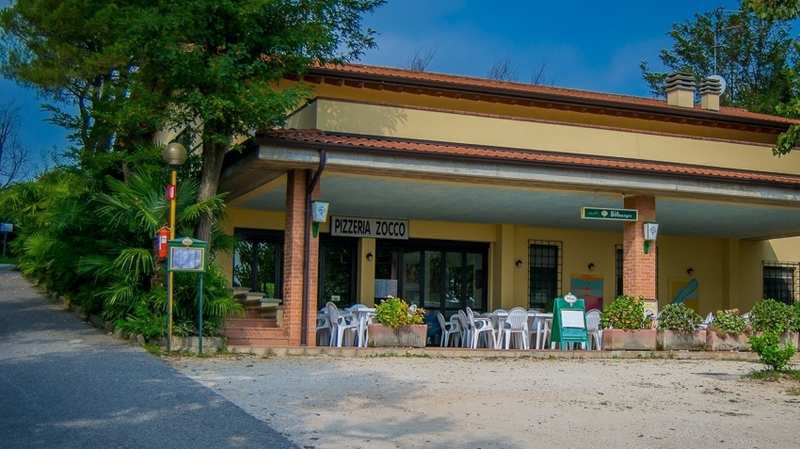 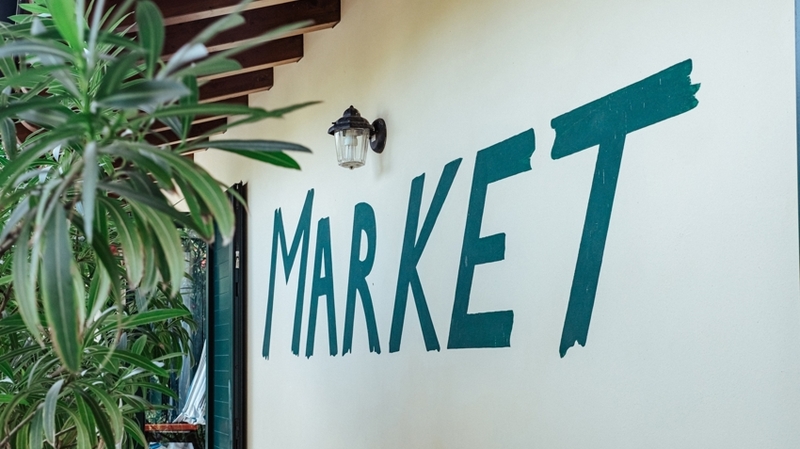 In addition, there is free WLAN in almost the entire complex, a small shop, a restaurant with pizzeria, enough parking possibilities as well as bikes for rental (on request). 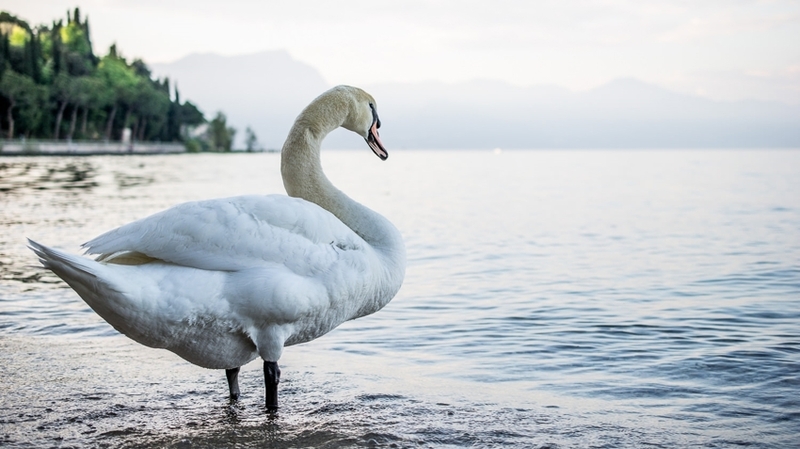 Pets are basically allowed. 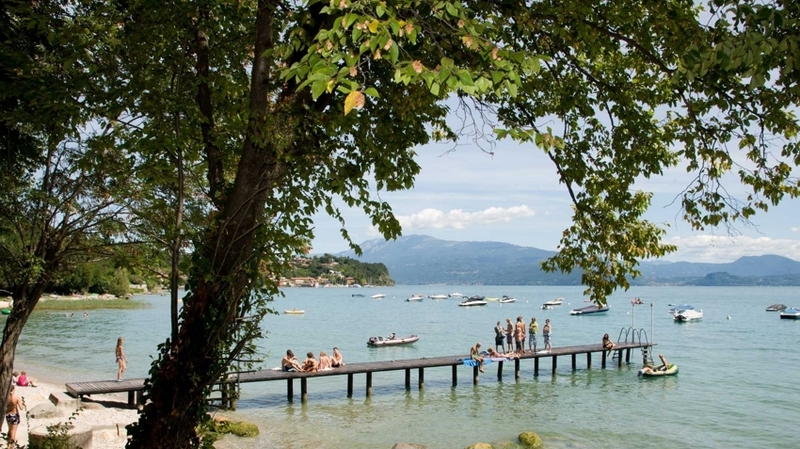 During your stay at Camping Zocco in Manerba del Garda, you will experience Lake Garda in a very special way. 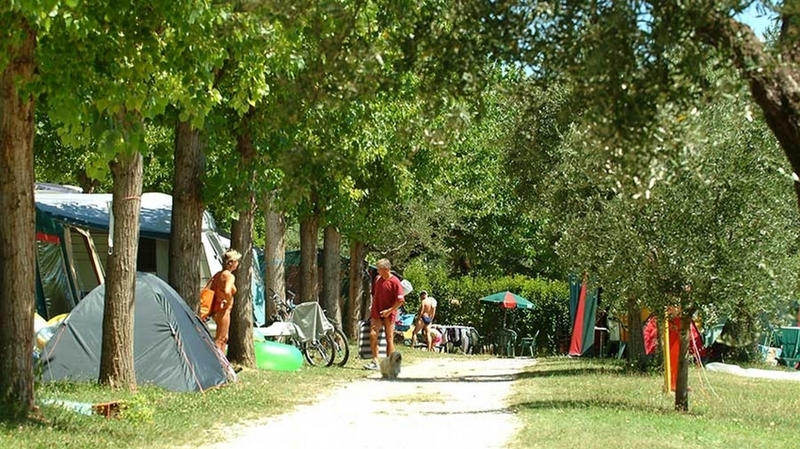 In addition to bathing holidays, the campsite is a perfect starting point for hikes in Rocca di Manerba Nature Park, bike tours with the whole family, boat trips and cultural excursions. 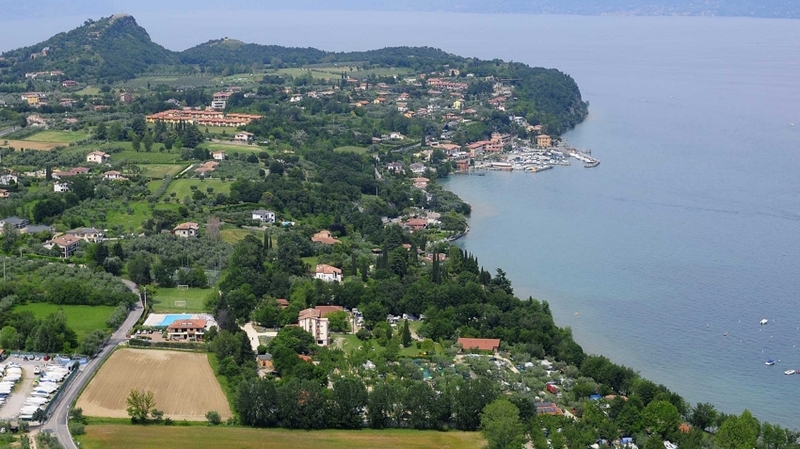 Garda Golf Club is located within 4 kilometres of distance only. 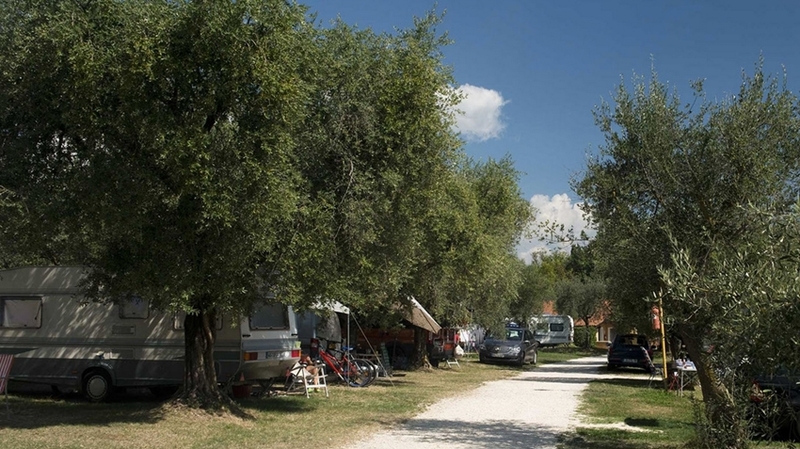 Families will look forward to countless nature and amusement parks in the surroundings. 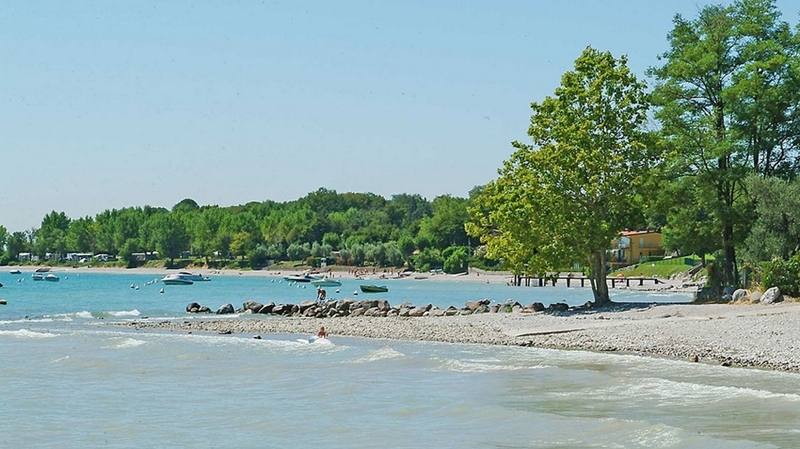 Also, the cities of Verona, Brescia and Mantova are worth a visit. 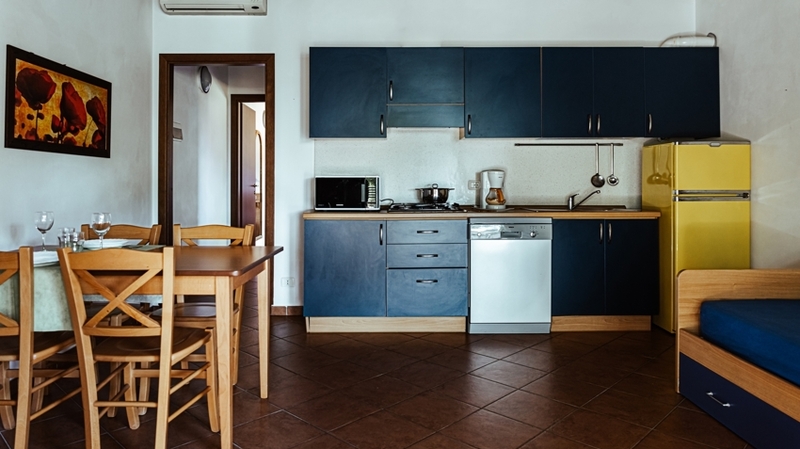 Bungalow (Two-/Three-rooms) with air conditioning, TV, kitchen, cutlery, dishes, dishwasher, one parking space, outside porch with table, chairs, deck chairs and barbecue. 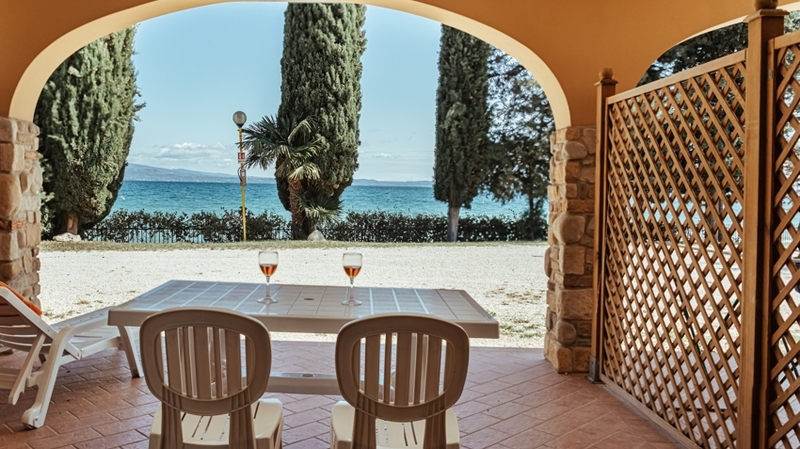 Cottage (Two-/Three-rooms) with Lake view, with TV, kitchen, cutlery, dishes, dishwasher, one parking space, outside porch with table and chairs. 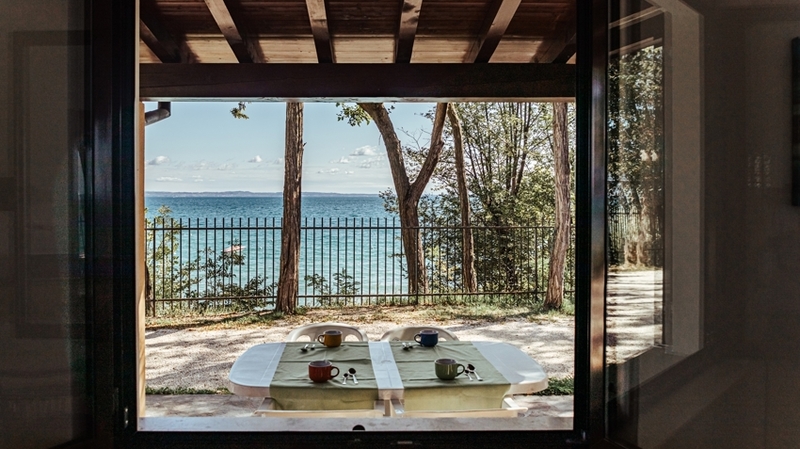 Flat (One-/Two-rooms) with Lake view. 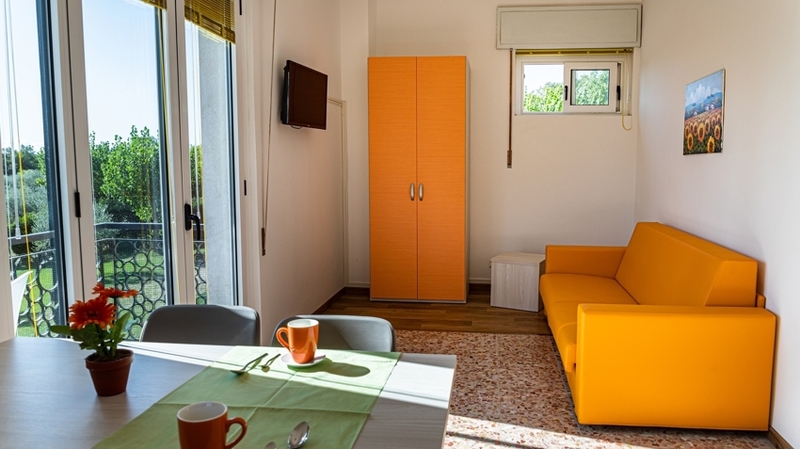 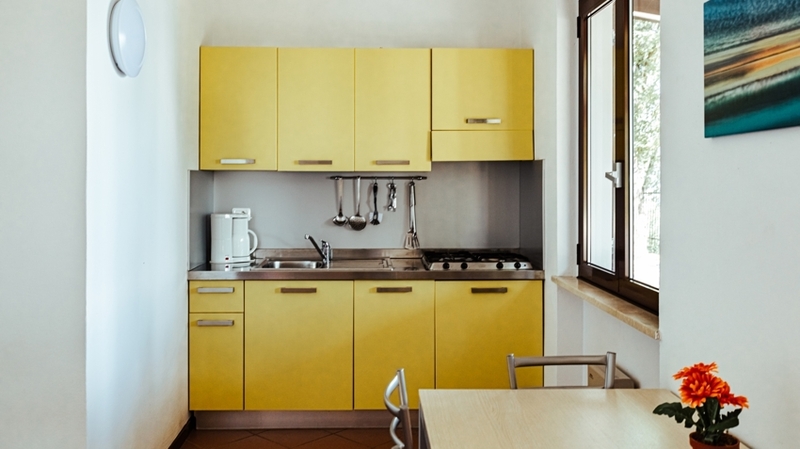 Tend equipped with a Double-bed room, living area with 2 Single sofa-beds, small kitchen with microwave, extending table, fridge, small electric hob, outside covered area (3m x 2,5m) with wooden floor, one parking place. 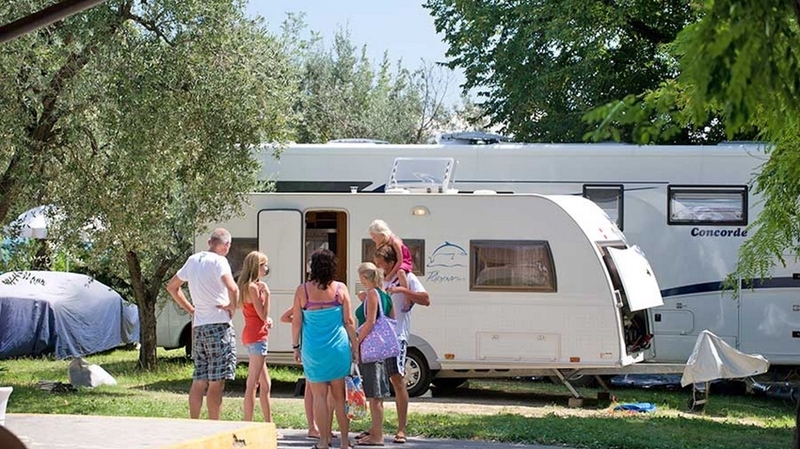 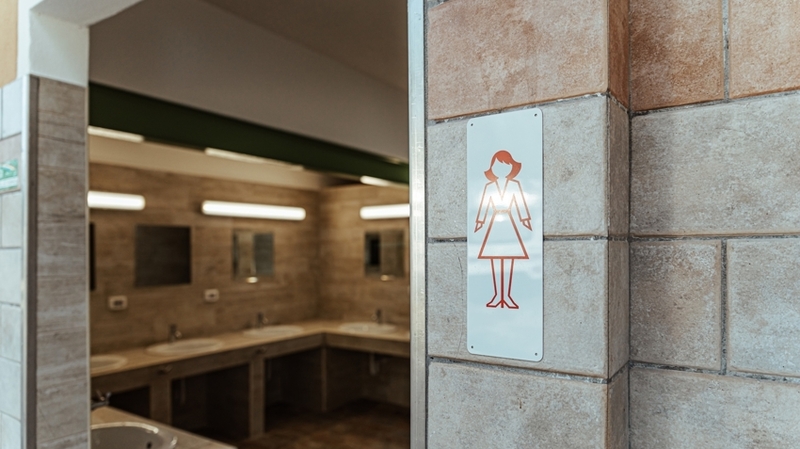 + Eine schöne Lage und für Kinder der ideale Campingplatz. 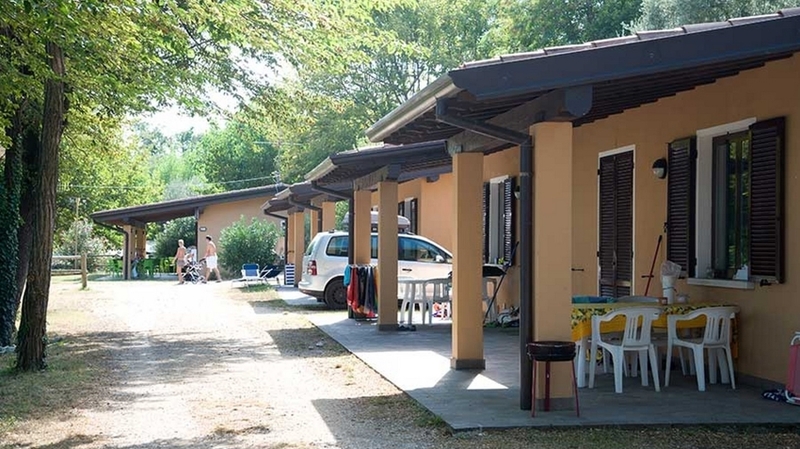 Wir fanden es sehr schön, alles war sauber und wurde mehrfach am Tag sauber gemacht. 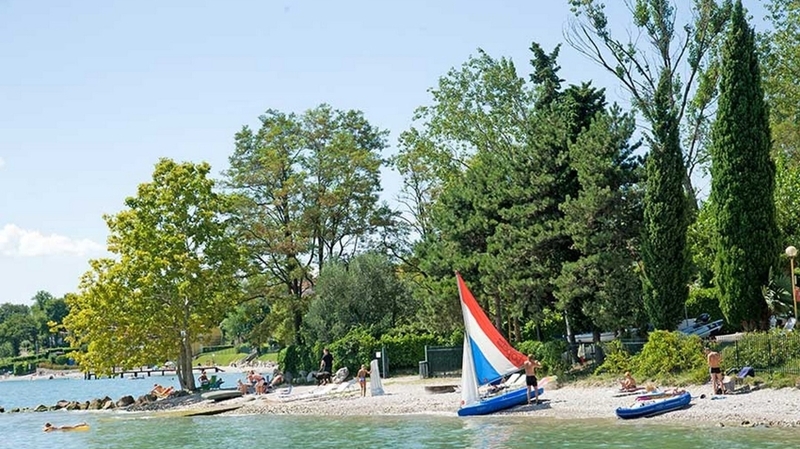 Wir werden hier bestimmt wieder Urlaub machen.